Hillsong Church announced it has severed direct ties with the Australian Christian Churches (ACC) and formed its own denomination. In a letter to the ACC, Hillsong senior pastor Brian Houston made it clear the split had nothing to do with a dispute with the denomination, but rather the international reach of the church. Houston noted that two-thirds of those attending a Hillsong Church location each week do so outside of Australia. Founded in 1983 in a suburb of Sydney, Australia, Hillsong Church has become one of the most influential churches in the world with pastoral staff in 24 nations and best-selling music groups like Hillsong Worship, Hillsong United, and Hillsong Young & Free. According to Australian magazine Eternity, Wayne Alcorn, president of the ACC, emailed denominational pastors to inform them of Hillsong Church’s move. The ACC is a branch of the World Assemblies of God Fellowship, the largest Pentecostal denomination in the world. “The change in relationship has been facilitated by Hillsong’s global growth, rather than any disagreement.”Alcorn reiterated Houston’s assertion that the shift did not come about due to acrimony between the church and denomination. In his letter to ACC, Houston notes practical reasons for the church forming their own denomination and having the power to ordain their own ministers. Starting their own denomination removes the Australian denomination from the responsibility of ordaining pastors in other parts of the world. Houston gave the example of a concern arising that affects the credential of a Hillsong Church youth pastor in Europe. “The Australian ACC cannot be expected to have adequate information to address this issue or even know who the person is, let alone the resources to appropriately deal with the issue on a personal or pastoral level,” he wrote. 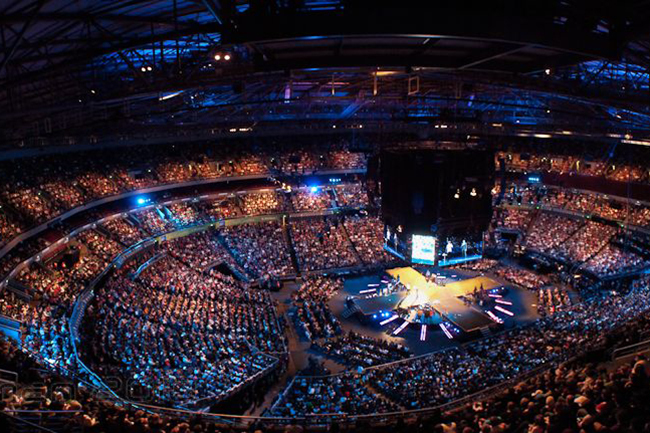 The Hillsong pastor wrote that the goal is to become an “associate church” of the ACC. In this role, Hillsong Church would support some ACC initiatives and events, but would forego voting in denominational affairs.